Pipilotti Rist brings Mirror Head to New York. Pixel Forest – 4th Floor To Mildness. 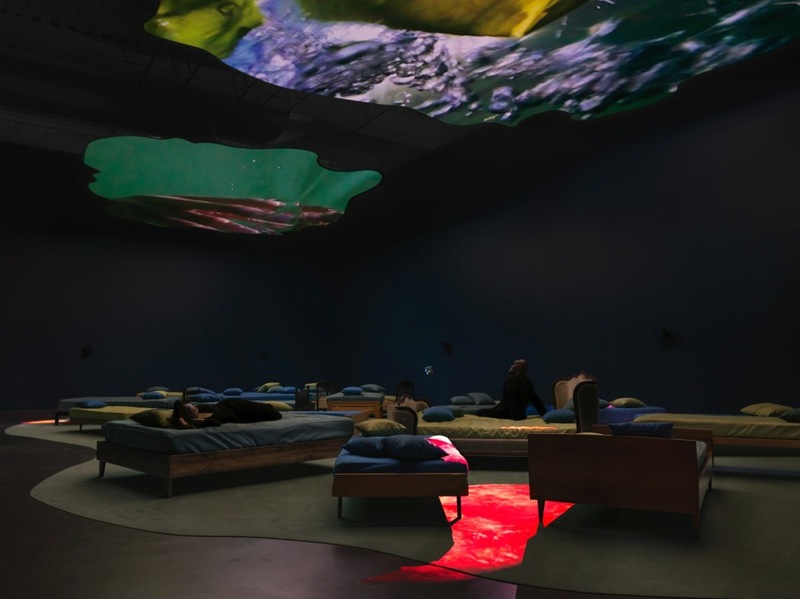 Internationally renowned visual artist and pioneer of video art and multimedia installations, Pipilotti Rist, currently is exhibiting her work at the New Museum in New York City and she is using the Mirror Head system to fascinate all visitors reaching the 4th Floor To Mildness. The exhibition titled Pixel Forest takes viewers into unexpected, all-consuming encounters with textures, forms, and functions of the living universe around them. Her show occupies the three main floors of the museum and includes pieces of her work from as early as the 1980’s. 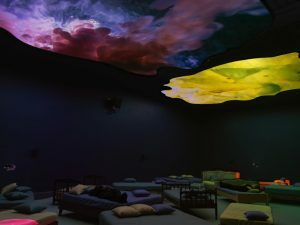 In this new installation, Pipilotti Rist reveals the connections between the development of her art and the evolution of contemporary technologies. 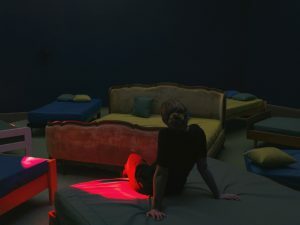 Ranging from the television monitor to the cinema screen, and from the intimacy of the smartphone to the communal experience of immersive images and soundscapes, the exhibition charts the ways in which Rist’s work fuses the biological with the electronic in the ecstasy of communication. Thomas Kühne, CEO of Dynamic Projection Institute, has closely collaborated with her over the years and continuously keeps on working together to realize new projects. 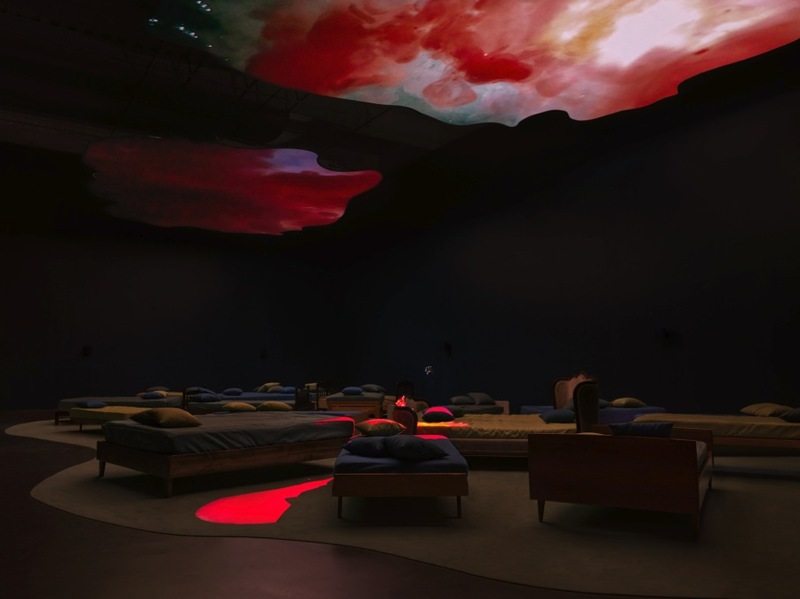 For this representation, Pipilotti chose to integrate the newest generations of Mirror Head units into her show and has plans to further re-locate her installation next in Sydney, Australia. 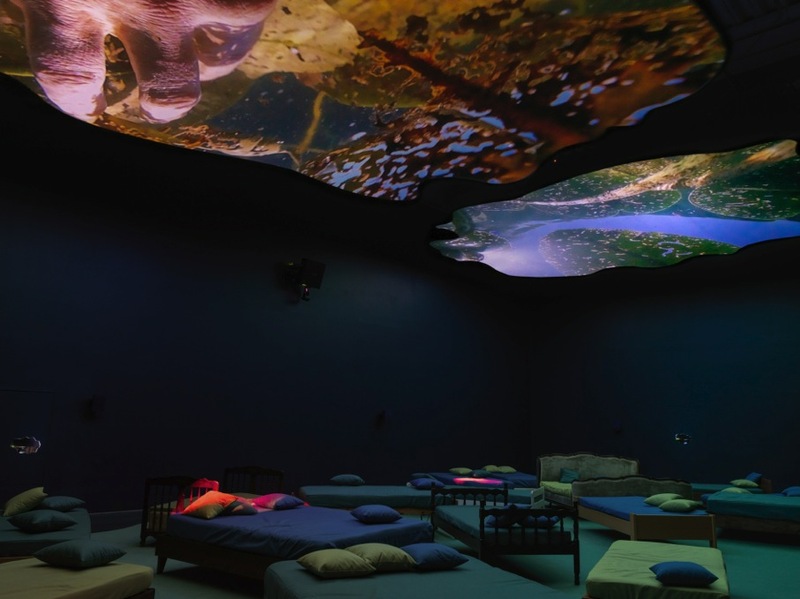 The popularity of the exhibition has lead the New Museum in New York to extend its opening hours and you still have the chance to visit the Pipilotti Rist: Pixel Forest until the 17th of January 2017.